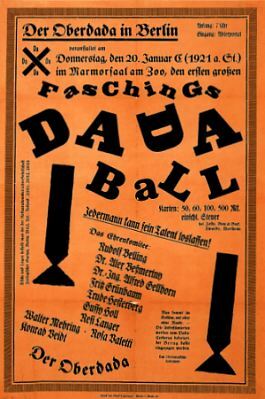 Johannes Baader (June 22, 1875 – January 15, 1955), originally trained as an architect, was a writer and artist associated with Dada in Berlin. He was born in Stuttgart, Germany, and died in Schloss Adeldorf, Lower Bavaria. The son of a metalworker for the royal buildings in Stuttgart, Johannes Baader studied at the state trade school there from 1892 to 1895 and then at the technical college. In 1903 he began working as a mortuary architect in Dresden. By 1905 he was in Berlin, where he met Raoul Hausmann, beginning a friendship that would eventually be at the centre of Berlin Dada. In 1906 he conceived his utopian interdenominational World Temple, drawing on various forms, including Greek and Indian archetypes. Described in sketches and writings, the world temple in its grandest form was to be 1500 metres high and unify all of humanity in its building. In 1914, Baader published a treatise on Monism entitled Vierzehn Briefe Christi (Fourteen Letters of Christ) and during the next several years contributed to the journals Die freie Strasse (Free Street) and Der Dada. In 1917 he was certified legally insane, a designation he used as a license for outrageous public performances parodying public and mythic identities. Also in 1917 he ran for the Reichstag in Saarbrücken and, with Hausmann, founded Christus GmbH (Christ Ltd), offering membership to pacifists, who, upon being certified with the identity of Christ, were to be exempted from the draft. 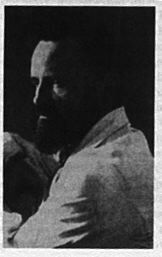 In 1918, Baader wrote his quasi-religious tract Die acht Weltsätze (Eight World Theses), and in 1919 he declared his own "resurrection" as the Oberdada, President of the Earth. He expounded on his cosmic identity in texts and collages (for example, Dada Milchstrasse (Dada Milky Way, 1919). 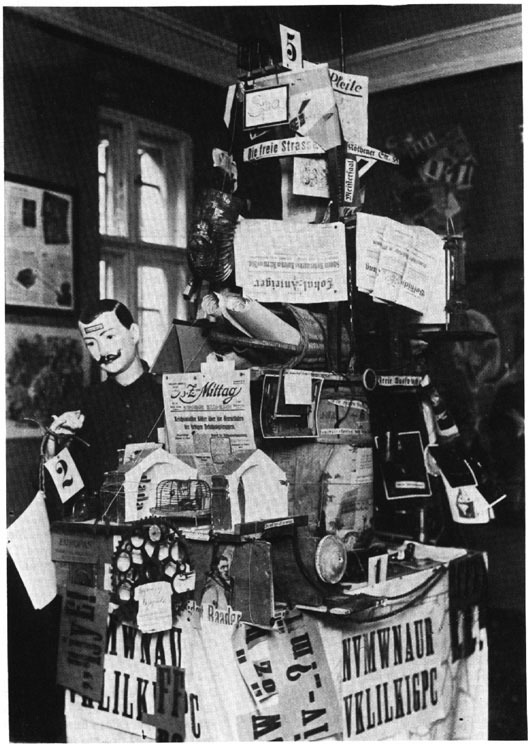 His Das grosse Plasto-Dio-Dada-Drama (The great Plasto-Dio-Dada-Drama), an assemblage envisioned as a model for Dada architecture, was shown in Berlin at the 1920 Erste internationale Dada-Messe (First International Dada Fair). He also produced sketches of visionary architecture, which, like those of Hausmann and Jefim Golyscheff, sometimes involved proto-Constructivist girderlike structures. In the 1920s he continued to produce collages and to practice as an architect.